Plenty of people have egg on their faces after last weekend’s performance by the Panthers, including me. Penrith by 16, what a tip! It’s safe to say very few people saw the 50-18 flogging coming, but with just six regular rounds to go in this year’s competition, it’s important Anthony Griffin’s team puts the performance behind them quickly. From here, it’s all about how the side responds. It’s a big test for Griffin, too. He needs to get his young side up for the most important six weeks of the season on the back of a soul destroying defeat. He needs to ensure they’re in the right headspace as much as anything else. Of course, the Panthers weren’t the only team to have a half century put on them last weekend. Manly let in 56 points against the impressive Sydney Roosters on Sunday, meaning that between them this Saturday afternoon’s opponents at Lottoland conceded 106 points in round 19. Surely neither side can be as bad as they were last weekend. 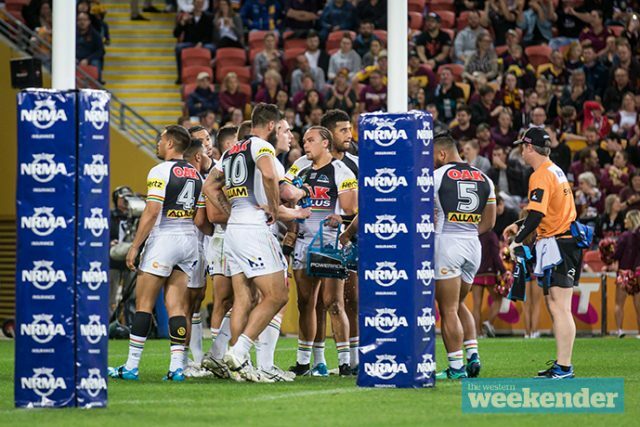 One of the NRL’s many scheduling quirks means that Penrith and Manly actually only played each other a month ago, with the Sea Eagles prevailing in a scrappy 18-10 win at Panthers Stadium. Manly haven’t won since then, and in fact hadn’t won their four games prior to that either. They have been awful this season, yet somehow Penrith weren’t up for that game at the back of June. The truth is Penrith haven’t been in good form since they beat the Dragons 28-2 at the end of May. It was a stunning performance that confirmed the side’s premiership credentials, but since then they’ve been very poor. A couple of victories have masked their form – an unlikely 23-22 win over Canberra at GIO Stadium and a big win over the Warriors, which admittedly was very impressive. But on the whole Penrith have struggled through the representative period. Good sides recover from such adversity and for the Panthers that recovery must start on Saturday. 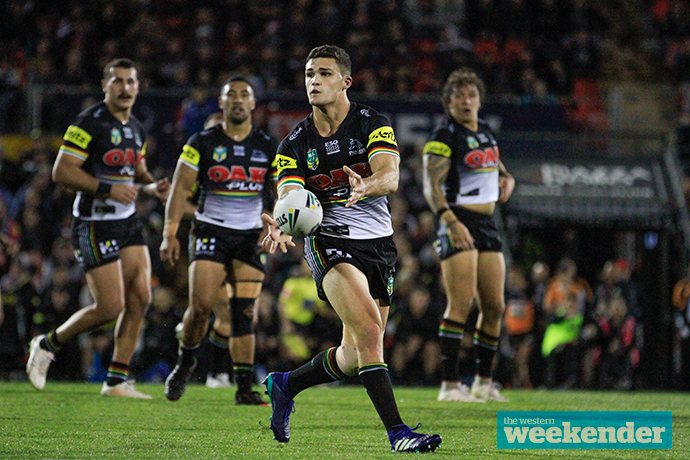 While both were embarrassed last weekend, Penrith and Manly do have one significant point of difference heading into this clash: the Panthers still have something to play for. No disrespect to the Sea Eagles, but surely it is harder to bounce back from such a poor performance when you’re sitting just two points clear of last place. The Panthers at least still have their eye on a top four finish. Manly coach Trent Barrett’s biggest concern out of the performance against the Roosters would surely be how lapse his side was in defence. The Roosters collected 14 line breaks, recorded 33 tackle breaks and 254 kick return metres. 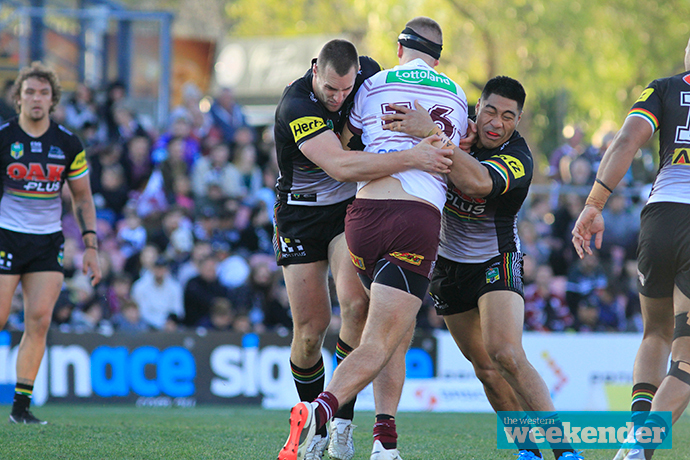 The Sea Eagles simply couldn’t match the intensity of the Roosters and at times their defence just seemed plain lazy. Penrith meanwhile never really recovered from Brisbane’s flashy start. It frustrated some of Penrith’s senior players, like James Maloney, and as soon as he wasn’t in the right headspace, everything else just tumbled around him. He admitted himself post-match that he needs to handle such challenges better. While the selection of Tyrone Peachey at fullback is a head-scratcher, I’m pretty happy with Griffin’s other changes this weekend. The little shake-up to the forward pack was well overdue. Penrith and Manly play at Lottoland on Saturday, July 28 at 3pm.